Club Poker: Is Texas Hold'em Really Legal in Texas? Club Poker: Is Texas Hold’em Really Legal in Texas? I know what you’re thinking. It can’t be true. If Texas Hold’em was legal, you’d probably be stacking chips somewhere, plotting your next move. Well, when it comes to poker in Texas, the truth is…complicated. The late 1990’s and early 2000’s witnessed an explosion in popularity for the relatively obscure version of poker known as “Texas Hold’em.” Its rise was coupled with the rise of the World Series of Poker (WSOP), in addition to an innovative new approach to broadcasting poker on TV. Never before had audiences been able to see which cards the players were holding, and that simple innovation would turn the gambling world upside down. The moment producers caught on to the new trend, it became evident that there was no going back. Popularity, prize pools, and participant totals for the WSOP increased dramatically, and the tournament’s humble beginnings would soon seem archaic in comparison to its modern size and stature. “Amarillo Slim” Preston from – you guessed it – Amarillo, Texas won the first $10,000 WSOP Main Event, facing a whopping 7 opponents for a total prize pool of $80,000. In 1987, the tournament had swelled to over 150 contenders, and former Houstonian, Johnny Chan, took first place with a prize of $625,000. By 2004, the first place prize had ballooned to $5,000,000, and over 2,500 contestants had registered to play. In the 13 years since the 2004 WSOP Main Event, popularity has soared both in the US and abroad. Despite the federal government’s crackdown on online poker in recent years, the WSOP continues to draw crowds into the thousands. So what are the main takeaways from all this? 1) Poker is popular. Very popular. 2) There’s A LOT of money in poker. And yet, despite the 80th Texas Legislature declaring Robstown the birthplace of Texas Hold’em in 2007, the game has been virtually illegal in the state since its inception. “Virtually” is the key word. This is where an individual named Sam Von Kennel comes into the story. Before becoming a renegade poker icon, Von Kennel worked under the Chairman of the Licensing and Administrative Committee in the Texas legislature. As an avid poker player, he paid close attention the various lobbying efforts of Big Casinos to muscle in on the virgin Texas market. As a result, he became very intimate with the intricacies of Chapter 47 of the Texas Penal Code (the chapter outlining gambling), and in spring of 2015 he went all-in, opening the first legal poker room in Texas (excluding the Kickapoo Lucky Eagle Casino, but that’s a story for another day). So how is it legal, you ask? Von Kennel doesn’t actually make any money off of the poker game itself. According to his website, he simply charges membership dues for his private club. The fact that members come together to play poker, often for high stakes, is of no concern to law enforcement…yet. 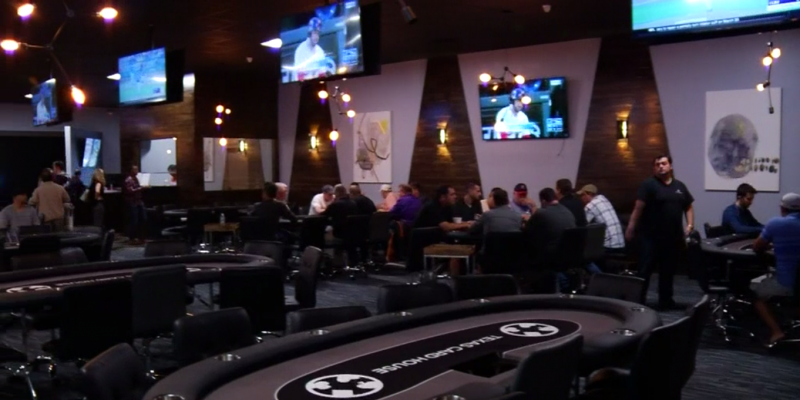 Texas Card House opened its doors in South Austin in March 2015, and in roughly two years added a North Austin location. In addition to Von Kennel’s operation, quasi-legal poker rooms have begun springing up all over Texas. There are now legal poker rooms in every corner of the state including Flint, San Antonio, and Plano just to name a few. So why is the state of Texas so content dismissing the small fortune that could me made through actual recognized legal poker? Why are clever entrepreneurs forced to tip-toe around state law when our legislature is dominated by small-business promoting, limited government loving, conservatives? As we embark on the special session, it seems that this legal wildcard will remain in play for the foreseeable future. With little discussion surrounding the rise of this new cottage industry, let’s hope by the 86th legislature we will have this ironed out once-and-for-all. Maybe someone will do a little lobbying and get the World Series of Poker to hold their next tournament here in Texas. Is there any doubt it would be the biggest one, to date?